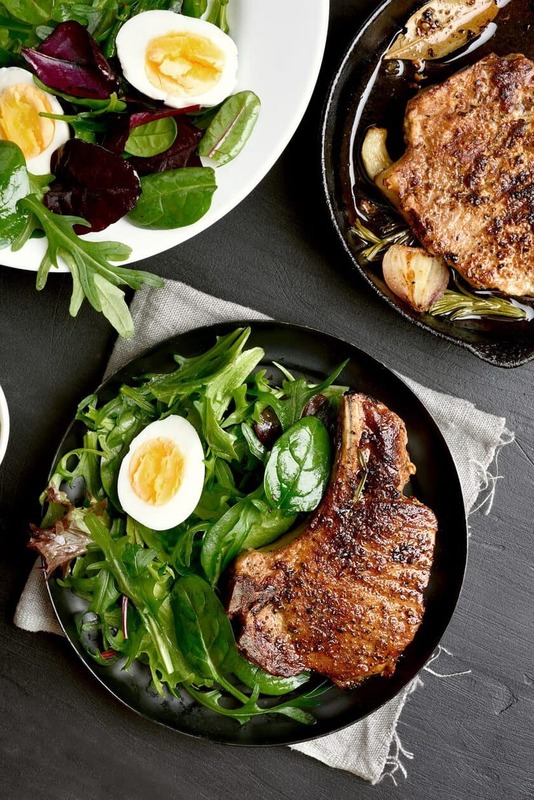 Turmeric Pork Chops are an excellent, quick and easy choice for weeknight meals. 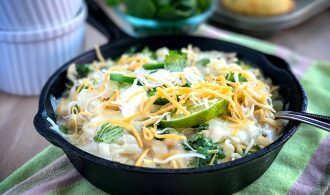 A savory and delicious skillet dish my entire family loves. 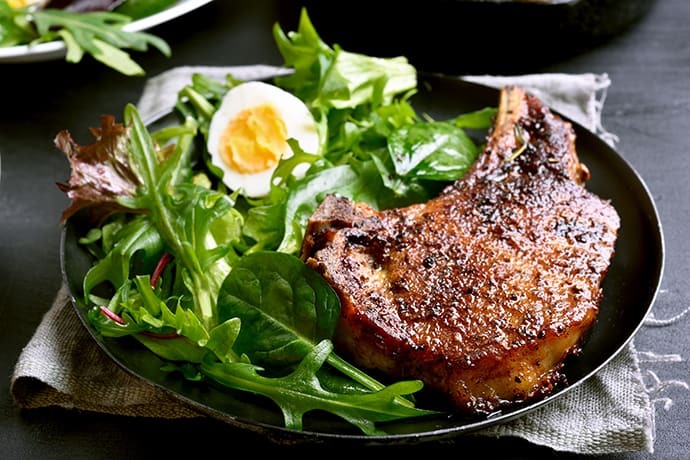 Generously spiced, these pork chops pair well with simple sides like a green salad with sliced boil eggs — one of my favorites! Or grilled crispy grilled potatoes you can cook in the same skillet. 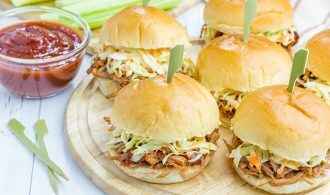 Add some steamed broccoli for a delicious and filling dinner. I love the pungent flavor turmeric and cumin add to food. But the benefits even outweigh even the flavor. Turmeric, for instance, is an incredibly healthy spice. We wrote an article about the health benefits of turmeric a while back. It’s amazing what one teaspoon daily of this savory spice can do! In a small bowl, combine 1 tablespoon olive oil, cumin, turmeric, salt, and pepper. Rub spice mixture evenly over pork chops. Heat 1 tablespoon olive oil in a large cast-iron skillet over medium-high heat. Add pork chops to pan, cook about 4 minutes per side or until desired degree of doneness. Cooking time will depend on the thickness of the pork chops.